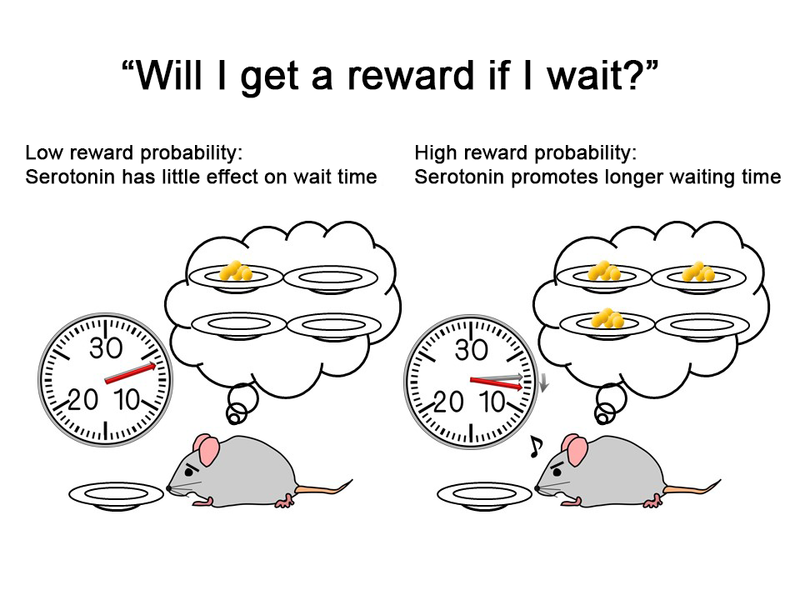 The effect of neuromodulator serotonin on mice’s ability to stay patient when waiting for a reward is at the core of a new study published in Nature Communications. The authors, Dr. Katsuhiko Miyazaki and Dr. Kayoko Miyazaki, analyzed how the rodents behaved under the influence of serotonin, as part of a study conducted in the Neural Computation Unit at the Okinawa Institute of Science and Technology. Figure 1: With a 25% probability of reward, the nose-poke time in no-food trials did not change even if serotonin neurons were activated (left). But with a 75% reward probability, the nose-poke time during no-food trials increased when serotonin neurons were activated (right). 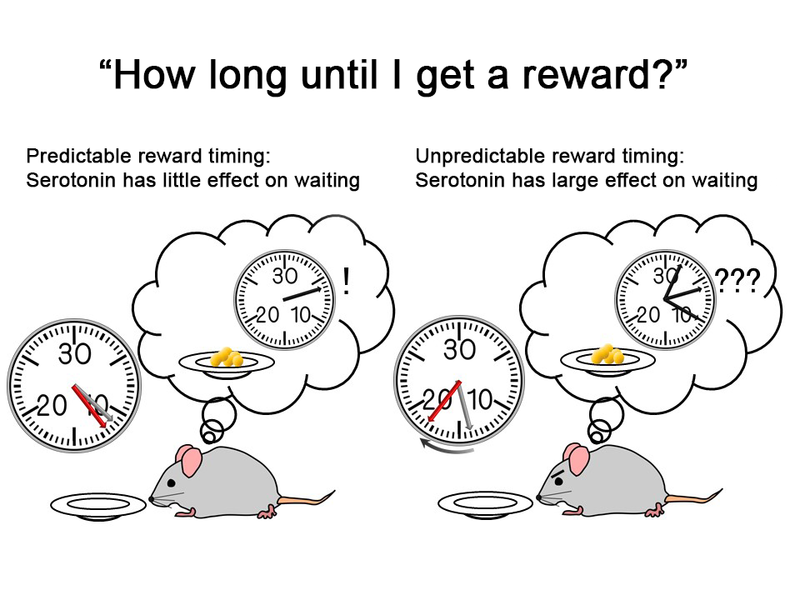 Figure 2: In a test where food rewards were always delivered after 6 seconds, serotonin’s effect of extending nose-poke time was small (left). But in tests where food goes was delivered after two, six, or ten seconds later, serotonin boosted nose poke times significantly (right).